Billed as an “Indian Four Wedding and a Funeral“, this multi-cultural comedy follows three separated brothers, one a Sikh, one a Muslim and an Irish Catholic, taking stock of their lives in contemporary London. Sounds like a bad ‘Englishman, Irish, Scotsman walk into bar…’ joke from that summary, but the cast includes Meera Syal, Nina Wadia and Mark Monaghan. 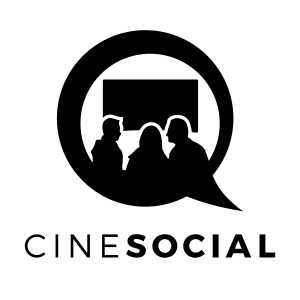 The official website will allow you to know more; screenings are in key cities. This thriller is set in Russia around the time Joseph Stalin dies and is about a hunt for a child killer. 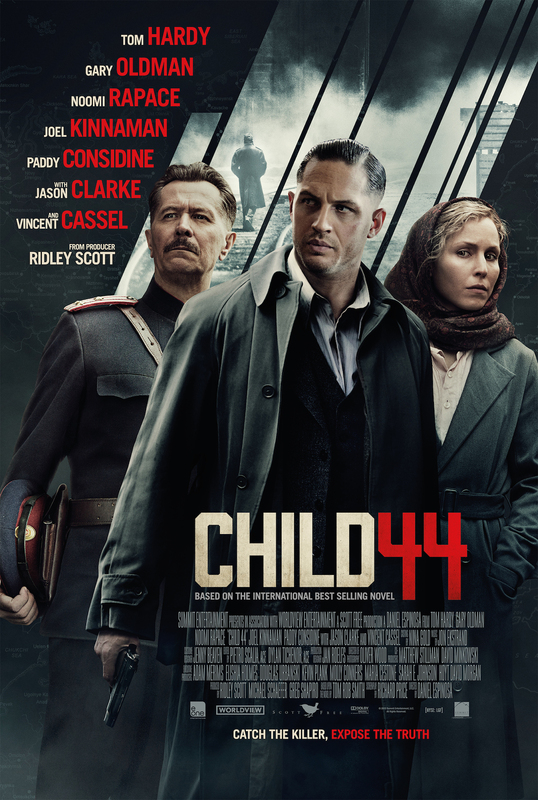 Tom Hardy, Gary Oldman and Noomi Rapace are the impressive actors flexing their vocal talents to make us believe we have been wicked off this time and place. The official website will give you trailers and everything else you need. It will have a wide distribution, so your local, big multiplex should screen it. A smattering of Robert Siodmak films have been filtering through of late, thanks to the BFI’s ‘Prince Of Shadows’ season dedicated to the film noir director, who died in 1973. This thriller stars Victor Mature and Richard Conte as former childhood friends on opposite sides of the law, one a hospitalised jewel thief, the other a detective determined to see him face justice. The BFI’s website has more about it; the full season of films, including where you can catch this one, is here. 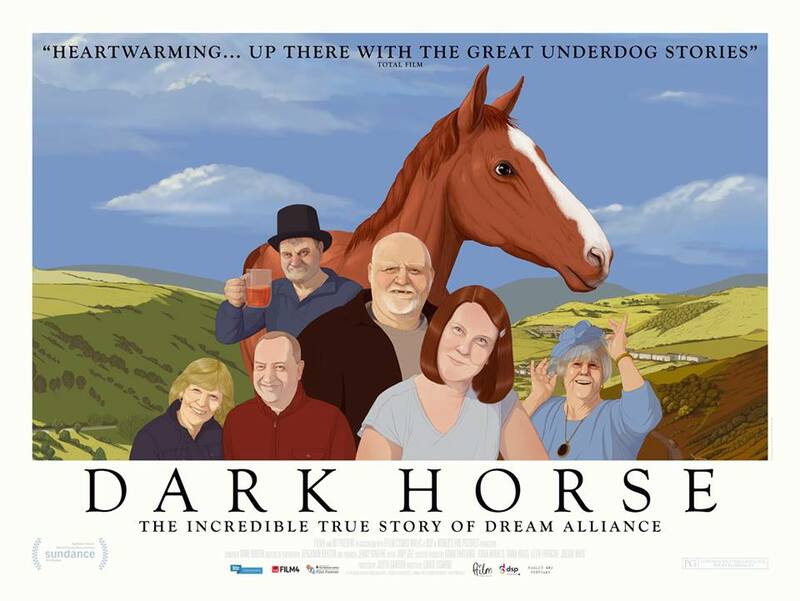 A typically winning, underdog, Brit-film that tells the true story of how a barmaid in a former mining village in South Wales bred a racehorse on her allotment that went on to become a champion. Sounds like Pride meets Seabiscuit. The official Picturehouse publicity blurb gives you the full plot, see Facebook for a furlong more. Irish drama that has already seen Jack Reyner receive acclaim (he won the Special Jury Prize at Sundance this year) as a young man struggling to support his alcoholic mother (Toni Collette) and younger siblings. 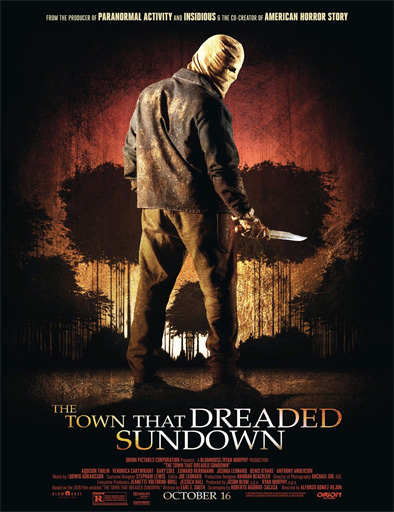 A mean and moody looking film you can catch in key cities; the official website has the trailer. 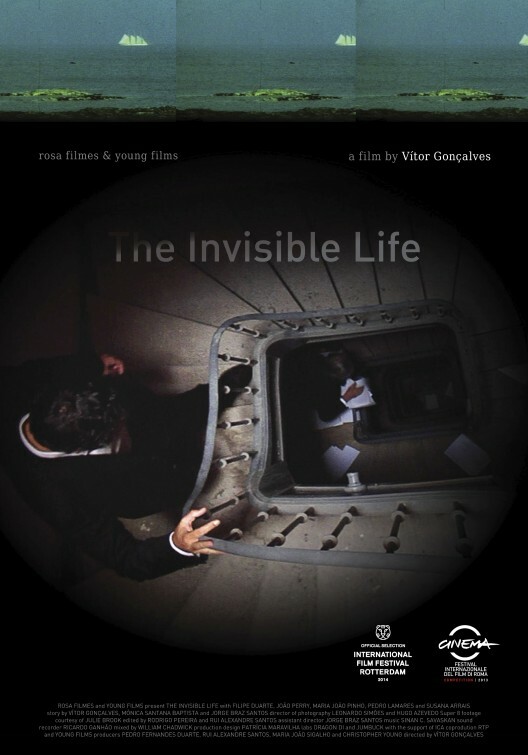 This Portuguese drama, directed by Vítor Gonçalves, tells the story of a middle-aged civil servant haunted by the memories of a recently deceased superior officer. No official website, the film will be playing on a limited release only, so use Find Any Film to check out where. Anna Kendrick is becoming this year’s female Matthias Schoenaerts, in just about every major, middle-of-the-mainstream film release. Here, in this mostly musical drama, she stars a struggling actress (fat chance!) in love with Jamie Wellerstein’s talented, up and coming novelist. The official website will give you the trailer and cast and credit details. It will play in key cities, so check out the Find Any Film link in the summary above for more. Season 5 of Game Of Thrones kicks off int his country soon, so this medieval-ish action adventure is well-times for release. 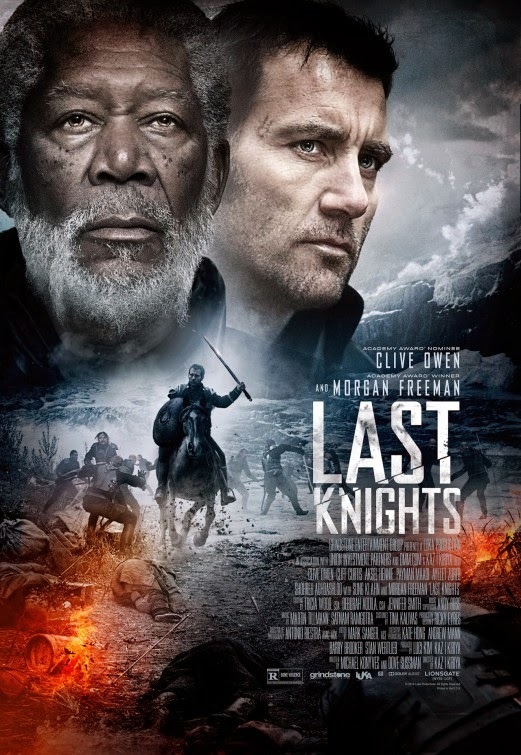 An epic sword-clash, Raiden (Clive Owen) is a fallen warrior who must rise up against a corrupt and sadistic ruler to avenge Bartok (Morgan Freeman), his dishonoured master. Check out the publicity razzmatazz to see the trailer, gallery etc. Showing at key cities only. Actor Alan Rickman (who also co-stars here as King Louis XIV) directs Kate Winslet as Sabine, a woman who ruffles French society feather after she is tasked with designing the famous gardens at the Palace of Versaille. She finds herself romantically entangled with the court’s renowned landscape architect André Le Notre (Matthias Schoenaerts). Beautiful looking period romp, it will be shown at just about every cinema going and the official BBC Film website gives you the trailer, galleries and blah blah blah. 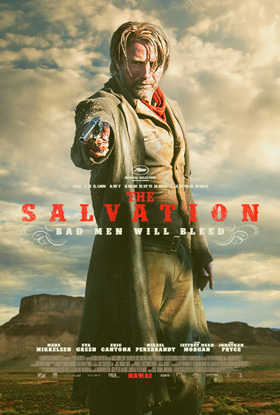 When Western man Mads Mikkelsen he kills the scoundrels who murdered his wife and son, he incurs the wrath of a sadistic gang leader hell-bent on hunting him down. showing at key cities only, the official IFC Entertainment webpage, with trailer and cast and crew details, gives you a soupçon more. Poldark-fever spills over onto the big screen in this melodrama that sees a travelling opera troupe get caught up in the machinations that follow when worthless shares in a failing tin mine take a sharp turn when the min suddenly starts to pay dividends. Jenny Agutter heads the cast and Bill Scott has the megaphone/clapperboard wielding duties. The official website includes details of what Cornish and South West locations you can see it. The memories of a series of murders that happened 65 years ago are stirred to the surface when a copycat starts killing people. A disturbed High School girl (Addison Timlin) starts looking into them. this will have a wide distribution, so your big multiplex should be showing it. Check out Find Any Film if you’re not sure. Anime movie: mankind is dying. Only one man can do anything about it, Space Captain Harlock, but the Gaia Coalition will stop at nothing to end him. The official Facebook page will give you more; catch it in key cities only, so check Find Any Film or any main UK city press entertainment listings. As ridiculous as comic-to-screen transfer could possibly sound. Is there anyone out there actually interested in the film, or do they just want to see Chris Hemsworth’s vertigo-inducing biceps? Maybe that’s just me, but in case anyone wants to know the plot, here is the IMDb summation: “When Tony Stark/Iron Man (Robert Downey Jr.) tries to jumpstart a dormant peacekeeping program, things go awry and it is up to the Avengers to stop the villainous Ultron from enacting his terrible plans”. The official website has the trailer and downloads; see it at every cinema up and down the land.